During one of your shopping trips, had you ever need to make a decision on whether to buy a store brand or a name brand? Well I know I had that dilemma whenever I went shopping because I want to get the most out of what I had paid for. I often find myself comparing the quality of the products by looking into the ingredients it is made out of. Whenever I am unsure I usually go for the name brand because they are well known, which means the quality is ensured right? This might not be the case because the unpopular store brands can actually be a comparable quality to name brands. As we have discussed in class, the quality of a product is subjective. The customer’s expectations are influenced by three factors which are what you hear from others, how it meets personal needs, and past experiences from products. These expectations lead to the objective quality and the perceived quality. I have high expectations for name brands, because I was often told they are made with better quality than store brands. From my past experiences, store brands often have minimum quality compared to name brands which left me not satisfied. This often led me to always choose name brands because it is a safer choice, even if it costs me more. 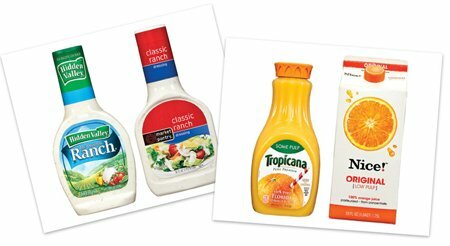 I have read an article titled “Store-brand vs. name-brand taste-off”, where two products of the same type are compared from either store or name brand by surveying consumers. As a result, many of the store brands are a comparable alternative to the name brands. The taste sensory test between the name and store brand resulted in a tie 10 times, name brand had won 8 times, and the store brand had won once. The quality is almost the exact same and makes it affordable for consumers. The difference between store brands and name brands are how they were manufactured, which reflects on quality of the product itself. Name brands cost more because the companies invested money in the product for advertising, development, and research. This gives a better reputation and ensures quality of their product to their consumers. Whereas the store brands has little to no information available on where there product came from and is often sold for a lower price because they are not known. The qualities in both products are almost the same. Store brands should be given a chance and it will help you save money. Would you rather purchase name brand or store brand products? Why? Do you think name brands guarantee quality of the product? How much trust do you have in store brands over name brands? What are your expectations in store brands?